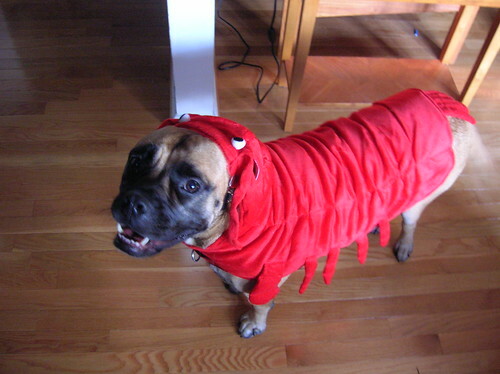 This is my dog, Greta Splendens, as a lobster. She had a lot of fun greeting kids tonight, although that might have been mostly because I was giving her treats as well. 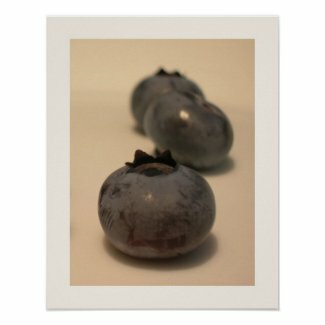 50% off all Posters and Prints! This sale is good through 4 pm so get to shopping! * To qualify for this free shipping offer, one or more Zazzle products must be purchased with a net sale price equal to or greater than 40.00 dollars and standard shipping must be selected as the shipping option. * The coupon code HALLWNSHIP40 must be entered during checkout to receive the offer. * The free shipping offer is for standard shipping to addresses to Australia only. * Offer is valid from October 24, 2010 through November 30, 2010 at 11:59pm EDT. * This promotional offer may not be combined with any other Zazzle promotional or discount offers.